QLC NAND Flash will help drive SSD prices down even more, but like the transition from MLC to TLC it will come at the cost of endurance and raw write speed. The Intel SSD 660p series has an endurance rating of 100 TBW per 512GB of QLC NAND Flash and is backed by a 5-year warranty. The current Intel SSD 545s (SATA III) and 760p (PCIe NVMe) mainstream and value drives have an endurance rating of 288 TBW per 512GB of TLV NAND Flash. The complexity of QLC in intense as there are now 16 voltage states to track compared to just eight on TLC. The firmware on QLC drives needs to be dialed in just right and Intel is using higher parallelism with more ‘planes’ in order for the drive to to read/write more cells at a time (four planes in QLC vs. two in most TLC implementations). It’s complex and we’ll just leave it at that as this is a mainstream product and most don’t want to go that deep. The move to QLC NAND Flash is going to lower endurance ratings, but Intel says the Average Failure Rate (AFR) will remain at (0.55%). That is good news as no one wants to see failure rates increase for any PC component. 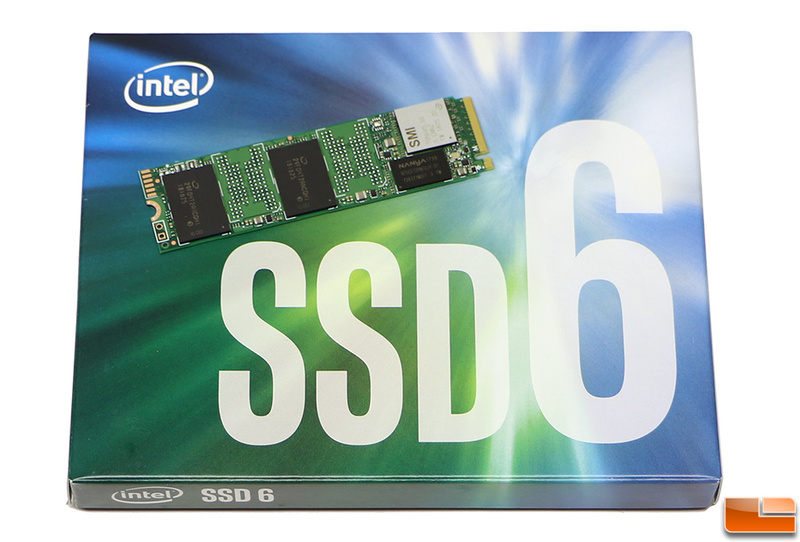 Today we’ll be taking a closer look at the Intel SSD 660p 1TB drive. This capacity is priced at $199, which seems like a solid price point. The Intel SSD 760p 1TB PCIe NVMe drive with TLC NAND runs $374 and the Intel SSD 545s with SATA III SSD with TLC NAND runs $319. This drive is $120-175 less than some of the most popular mainstream Intel drive series for this capacity. 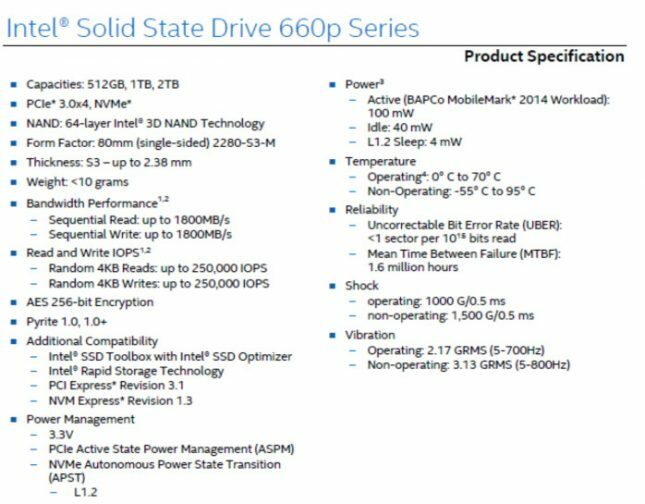 The retail packaging is the same as the old Intel SSD 600p series, so the only change here is the drive that comes inside. Here is our picture of the Intel SSD 660p 1TB drive in all its glory. Intel kept the PCB green on this single sided M.2 2280 ‘gum stick drive, which should be fine for the mainstream market. It looks like Intel is going to use the black PCB to help upsell to other models like the 760p. Intel is not disclosing anything about the SMI controller that they commissioned for use with the 660p other than its a PCIe Gen 3×4 controller that supports NVMe PSM, L1., APST, AES-256 encryption, and TCG Storage Security Subsystem class: Pyrite 1.0 and 2.0. 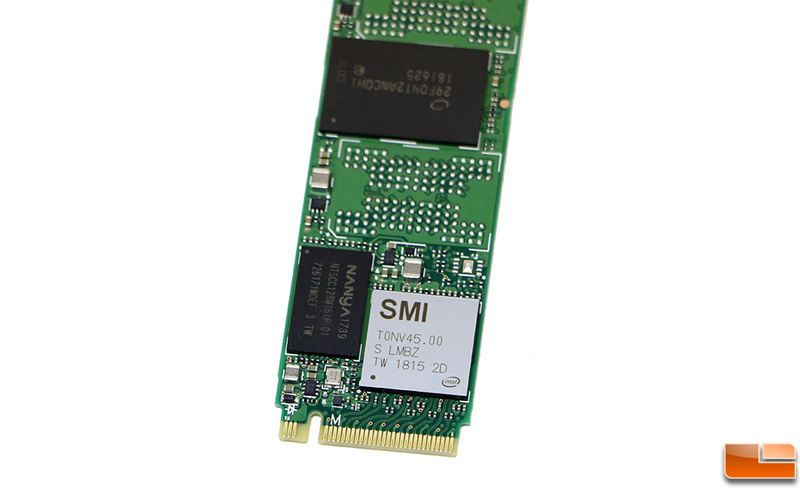 Silicon Motion only has a handful of controllers on the market and the only PCIe NVMe channel controller would be the SM2263. The SM2263EN is the version that supports DRAM cache and since there is a NANYA DRAM chip on the 660p drive series. So, we can come to our own conclusion that Intel us using the SM2263EN controller for this series.